Okay. So. Star Wars is not my favorite movie. Dylan grew up looooving Star Wars & I remember watching Return of the Jedi a lot when I was a little girl, but to tell you the truth I get quite sick of all the Star Wars hype. The old movies are fun. Sadie is already a big fan of A New Hope & has asked to be Princess Leia for Halloween this year. I'm gonna say Bandits as my favorite movie. It's been a really long time since I've seen it too. I think I'll be renting it soon! As far as books go.....well, I don't really read books. When Dylan read this question he said "Oh no. You're gonna have to tell the whole internet that you don't read books." I swear that "read a book" is on my New Years Resolution list every year. Oh, well. I was into Harry Potter for a while but I still haven't read the last book. Just call me lame. I do enjoy craft books & cookbooks & I looooove magazines, but I'll get to some recommendations for those in another post. Ryan Adams Cold Roses is probably my all time favorite. I've mentioned him many times before here on the blog. I think he has the most beautiful male singing voice ever. 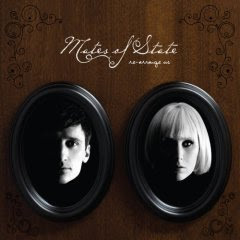 Listening to this album always takes me back to our Rexburg apartment when Sadie was just a little baby. It was then that I was constantly rockin' this album. 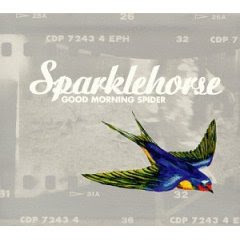 Sparklehorse Good Morning Spider is another favorite of mine. I love all his albums actually. Just depends on the mood I'm in. I started off listening to his It's a Wonderful Life album, which is also amazing. His style may be a little too mellow for some, but it's that combination of mellow & totally raw, gritty rock that I love most about him. As a wise man one taught me..."you gotta have the roll to appreciate the rock". That wise man is my husband. Anyway. I love music. I'm not as up with all the new stuff now that I have kiddos. I would love to share more of my favorite albums if anybody is interested. Music is however such a personal thing & what one person loves, sometimes others don't. It's all cool though. i'm adding bandits to my neflix queue (although it could already be in there?! my movie list is neverending.) i just took a guess at star wars. i think it is cute sadie is so into it. and of course i'm always looking for good music recommendations. seriously how have you not read the last HP???????????? abd bandits? never heard of it, adding it to the queue also! oh, and you are not lame for not reading books, i am sort of the same way, i just feel better using free time to do things with my hands than to sit and read! I love Ryan Adams! 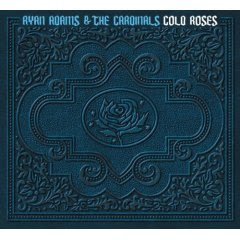 I love Cold Roses and he also has a couple of newer ones that are incredibly good also. Easy tiger and Follow the Lights. I could listen to him sing for days and not get tired of his voice!